Do you love hamburger helper? 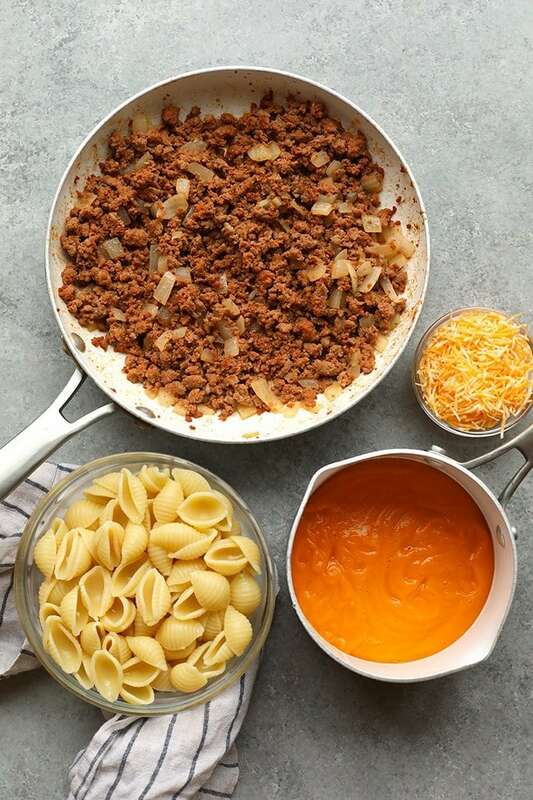 This Healthy Hamburger Casserole is a homemade hamburger helper that is made with sweet potato puree, delicious spices, and ground turkey for the perfect and easy weeknight dinner. Raise your hand if your parents made hamburger helper when you were young. It was not a regular meal at our house, but from time-to-time, my dad would make it! It was salty and delicious. What’s not to love? 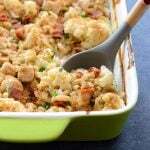 Though we were not a hamburger helper family, we did love a good ole’ German hamburger casserole. 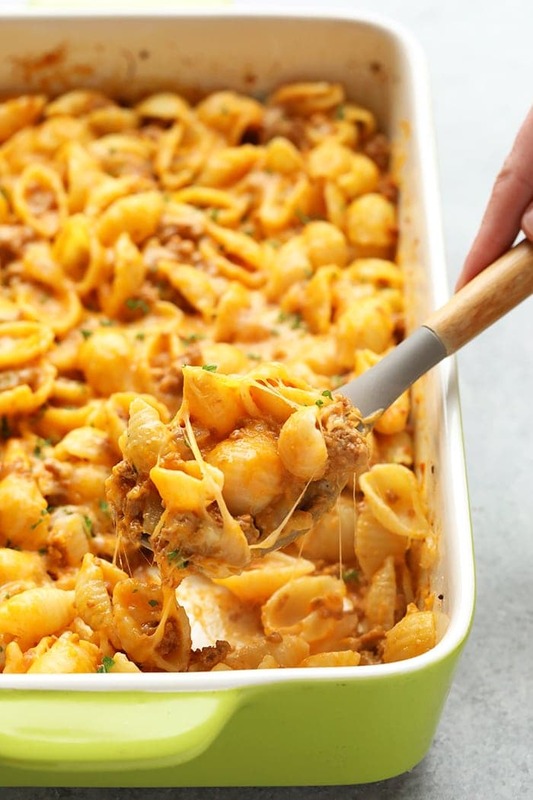 My Great Grandma Dolly (who we used to take my barbies away from me and make me play with a ginormous life-sized plastic doll) used to make the most delicious hamburger casserole. It was made with ground beef, celery, rice, and onion. 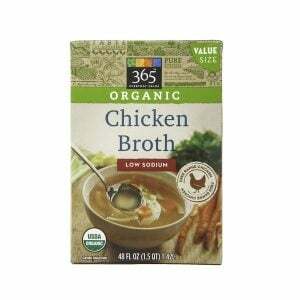 Throw in some broth and bake. My mouth is watering just thinking about it. 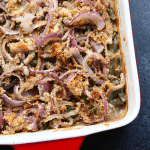 We wanted to make a hamburger casserole that made your mouth water too. 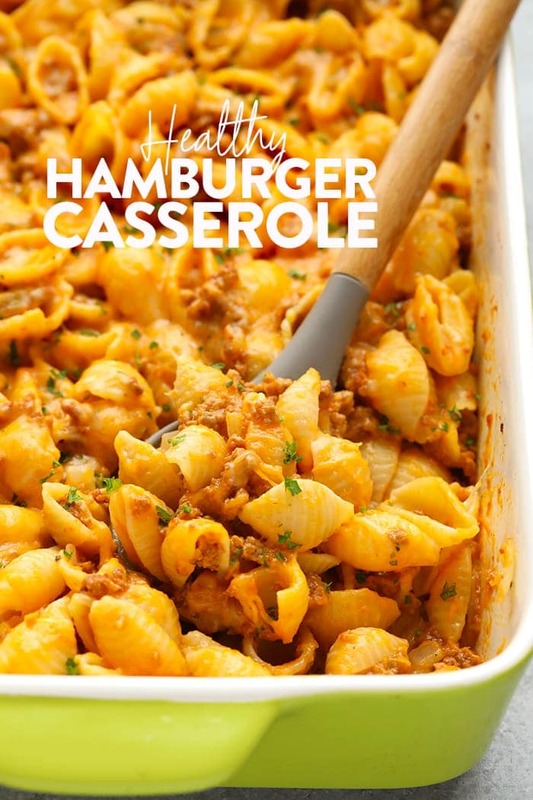 Though Grandma Dolly’s hamburger casserole was delicious, this hamburger casserole is basically a healthy homemade hamburger casserole that is pretty dang healthy. It is to die for. 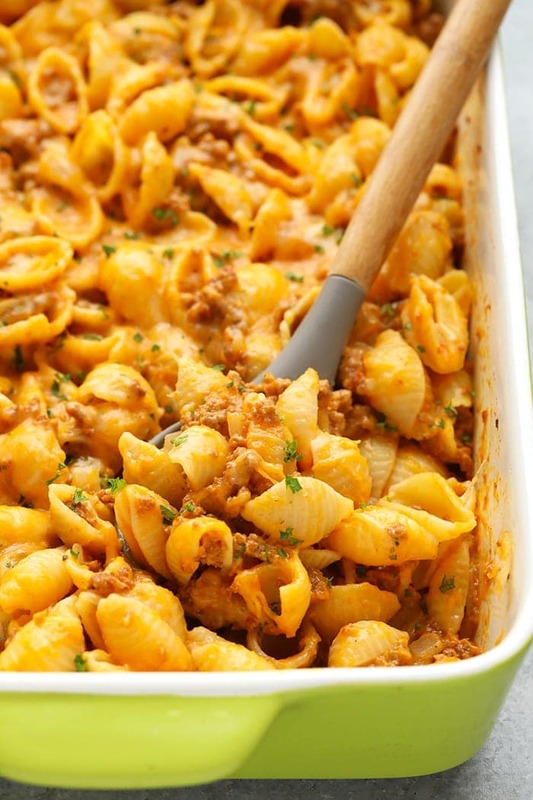 This easy hamburger casserole will make everyone in your household happy! 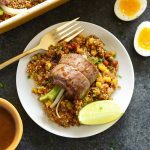 It is an easy weeknight dinner that is creamy and satisfying. 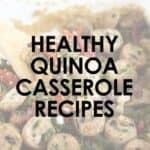 The secret ingredient is SWEET POTATO. That’s right, roasted and pureed sweet potato tastes like a creamy cheese sauce. OH LAWD, save me, the “cheese sauce” is seriously heaven. 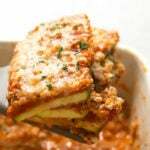 We lighten this dish up by using ground turkey, rather than beef. We skip a sodium filled cheese sauce and make the delicious creamy sweet potato sauce. After that, all that’s left is the noodles and it’s your choice. We used whole wheat noodles to cut the white flour noodles. 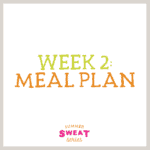 It’s a satisfying dinner that you will make over and over this fall. Preheat oven to 400ºF. Cook and prepare your sweet potato puree by following our How to Make Sweet Potato Puree post for details. You’ll need about 1 cup. Set aside. Bring a large pot of water to a boil. 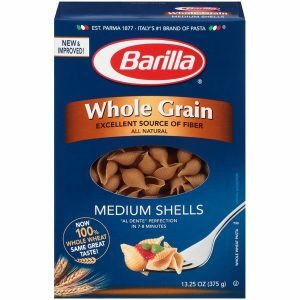 Add 16 ounces of shell pasta to boiling water. Cook pasta until it is almost cooked. 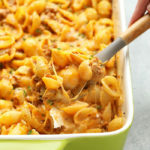 You want the pasta to still have a bite to it (harder than al dente) as it will continue to cook in the oven. Strain pasta, rinse with cold water and set aside. Next, heat a large skillet over medium heat. Add olive oil. When olive oil is fragrant, add ground turkey. Break the turkey up into small pieces. Add in the rest of the ingredients for the ground turkey mixture, mix, and cook for 4-5 minutes. Remove from heat. Lower oven temperature to 375ºF and place your sweet potato puree into a blender or food processor with all the ingredients for the sweet potato cheese sauce. Blend until all ingredients are combined and the sauce is nice and smooth. 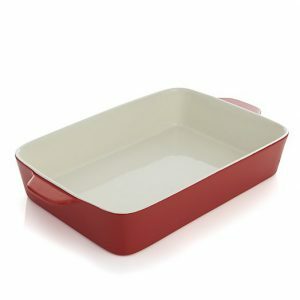 Spray a large 9×13-inch casserole dish with olive oil cooking spray. 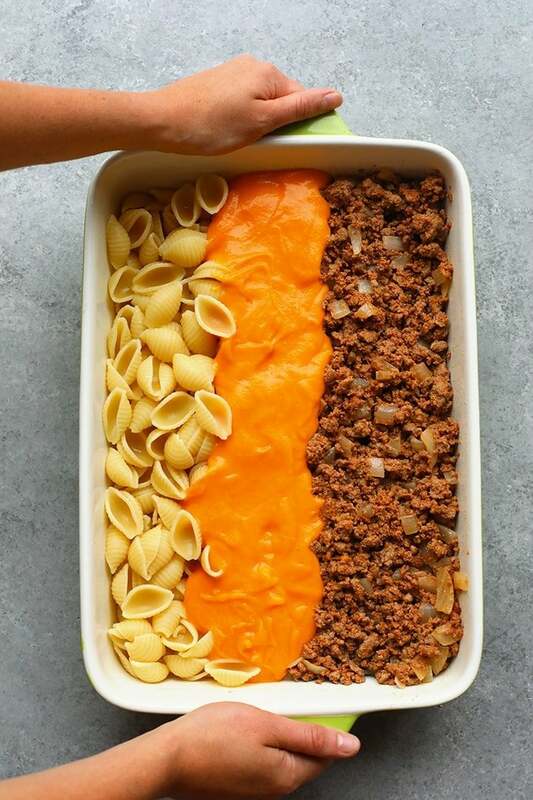 Place noodles, ground turkey, and sweet potato sauce into the casserole dish and mix until everything is coated in the sweet potato cheese sauce. 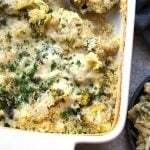 Sprinkle with shredded cheese (optional) and place into the oven for 15 minutes. Remove, let cool for 10 minutes, and sprinkle on fresh parsley. Nutrition information is for 8 servings.